Lock in a great price for Mount View Hakone – rated 8.7 by recent guests! An amazing facility with incredible private baths. The dinner and breakfast provided were delicious and plentiful. Truly one of the most amazing meals we have had. The staff were friendly and attentive. 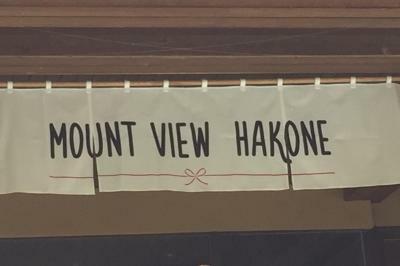 The Mount View Hakone was dreamy - delicious meals, very comfortable room, wonderful setting and activities (open air museum, ropeway and cable car, hiking) - we are also most appreciative of the excellent staff! 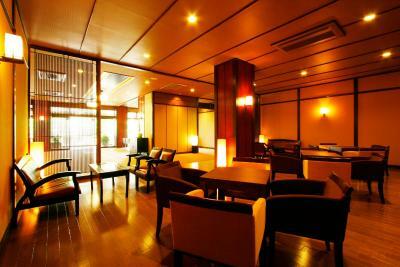 This was a value ryokan as the dining area was not private but the rooms were huge and had private baths. You have to negotiate the buses to get anywhere but its easy to do but can get pricey since they are not subsidized. The facility itself is very spacious and the food was delicious. 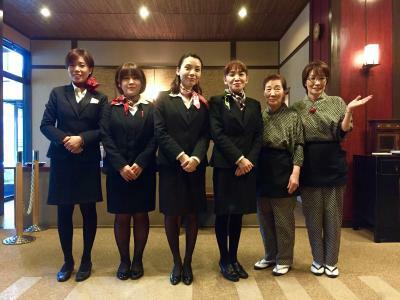 The staff seems more jaded than other places probably because they get so many foreign tourists but they are still very professional and courteous. The private baths were pricey and additional but the public baths are just as good so i wouldn't pay for a public one again. I’m a solo traveler and visited Hakone for the first time. 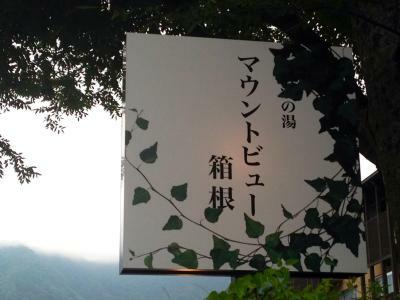 Everyone recommends visiting an onsen when in this area. The staff were friendly. No problem communicating in English. Dinner and breakfast were good. The public onsen was nice, and wasn’t busy. We only stayed for one night, but we had a very good time. After getting off the jr at odawara station, we sent our luggage to the hotel and started visiting Hakone. When we got to Mount View (bus stops almost right in front of the hotel), the luggage was already in our rooms. The onsen was wonderful, and we had it all to ourselves at one point in the evening.The staff was very friendly ad helpful. The room is quite big. In the evening we had traditional dinner, very tasty and filling, and in the morning traditional breakfast! Very nice experience, definitely would do it again! 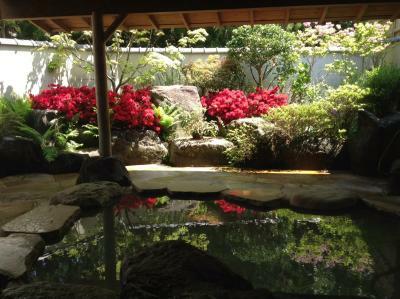 Everything, can't find a better ryokan in hakone! Location is good.The foods is great and delicious, Staffs are so kind and enthusiastic to help us. The bed is comfortable. 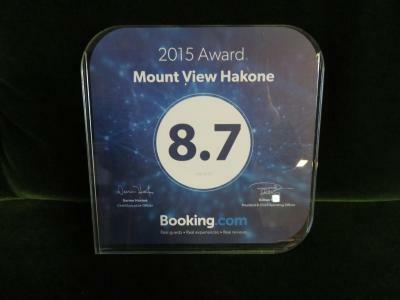 Mount View Hakone This rating is a reflection of how the property compares to the industry standard when it comes to price, facilities and services available. It's based on a self-evaluation by the property. Use this rating to help choose your stay! One of our top picks in Hakone.Boasting rare nigori-yu milky water hot spring baths and , Mount View Hakone offers Japanese-style rooms and Japanese delicacies. Free WiFi is available throughout the property, and free parking is available on site. 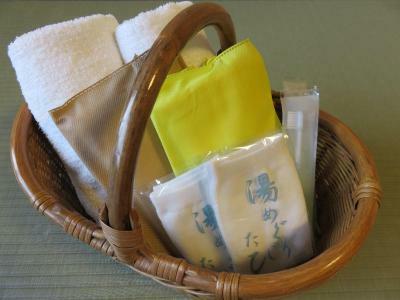 An aromatherapy treatment or Japanese-style massage can be arranged at a fee. 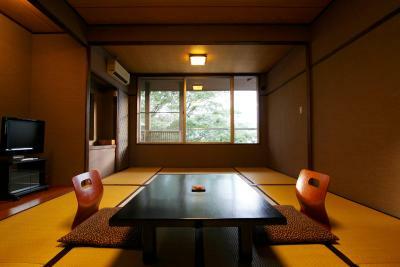 Air-conditioned rooms feature a tatami (woven-straw) floor, on which traditional futon bedding is spread to sleep in. 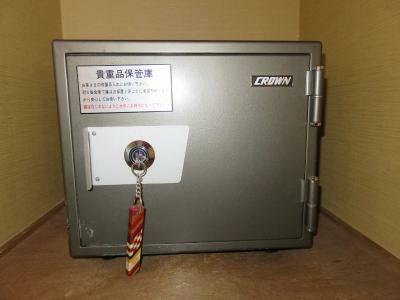 Amenities include an LCD TV, fridge, a safe and yukata robes. 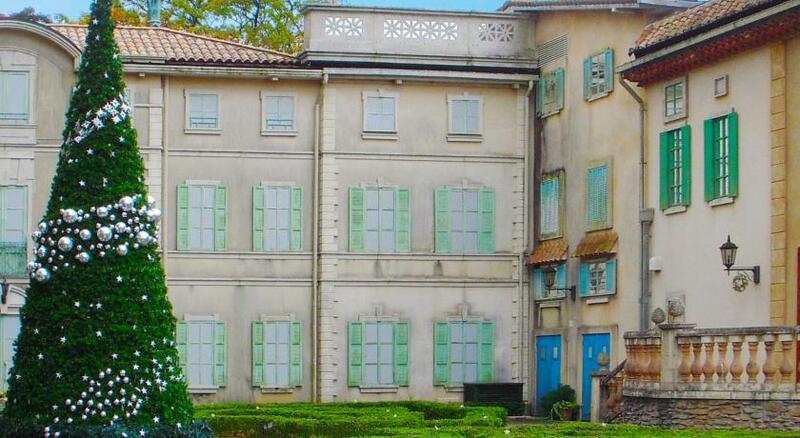 All rooms have a private toilet and washbasin, while bathroom facilities are shared. Some rooms is fitted with a private hot tub. Green tea sets with snacks are provided. 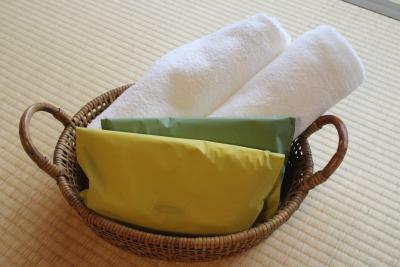 Guests at Hakone Mount View can enjoy rare volcanic hot spring water called nigori-yu, either in a shared open-air bath or at a surcharge in a private one. 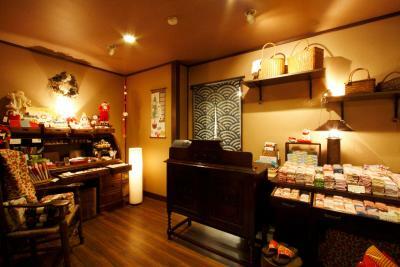 The hotel offers table tennis, a shop with local products, Japanese-style confectionery shop. 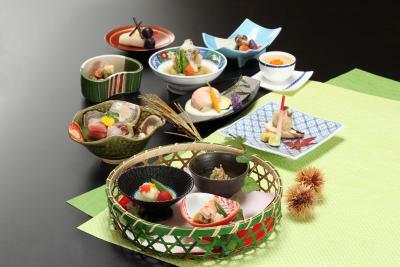 Japanese meals featuring local and seasonal ingredients are served for breakfast and dinner, at the dining room. Vegetarian meals can be provided upon prior request. Mount View Hakone is a 15-minute walk from Venetian Glass Museum, a 15-minute drive from Gotenba Premium Outlet and a 15-minute drive from Hakone Open Air Museum. 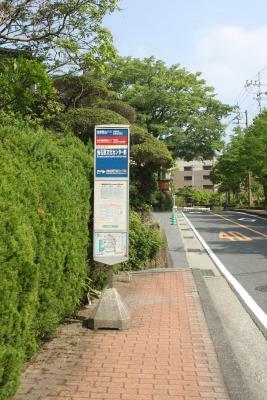 Buses to Odawara and Yumoto, including highway bus to Shinjuku, depart from the bus stop in front of the property. 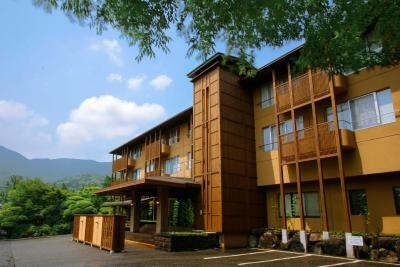 When would you like to stay at Mount View Hakone? 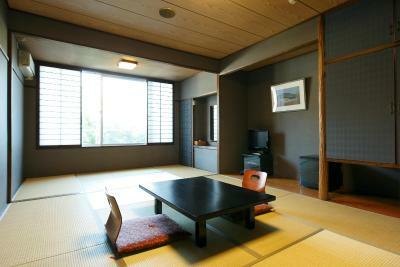 Tranquil room featuring a tatami (woven-straw) floor, on which traditional futon bedding is spread to sleep in. 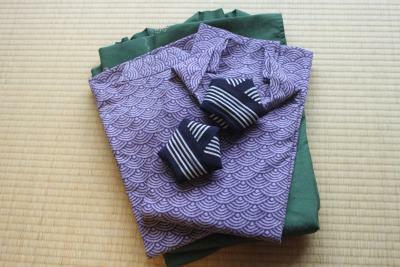 Amenities include an LCD TV, a safe and yukata robes. The room has a private toilet and washstand, while bathroom facilities are shared. 1 child up to 2 years old may stay in an existing bed free of charge. 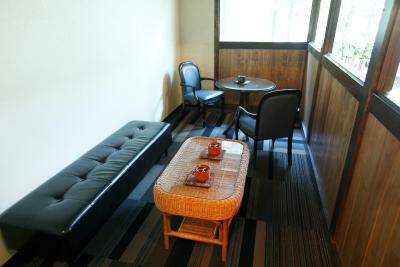 This air-conditioned single room features Western-style beds and a tatami (woven-straw) seating area. 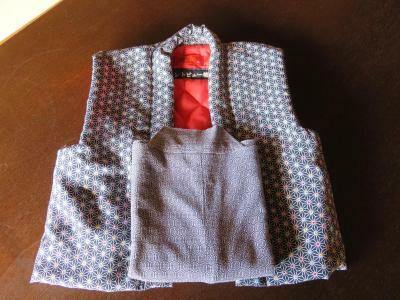 Amenities include an LCD TV, a safe and yukata robes. The room has a private toilet, while bathroom facilities are shared. 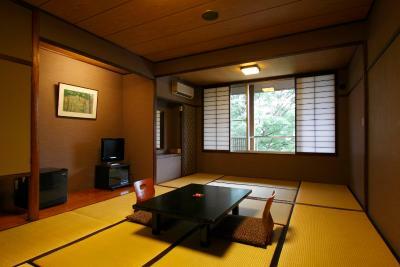 This twin room features Western-style beds and a tatami (woven-straw) seating area. 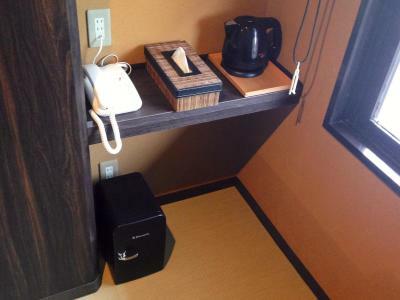 Amenities include an LCD TV, electric kettle and yukata robes. A private hot tub and toilet are provided. Please note that children cannot be accommodated in this room. The maximum occupancy of the room cannot be exceeded under any circumstances. For extra guests exceeding the room occupancy, guests will be asked to separate rooms and additional charges will apply. Guests may not be accommodated if there is no availability. This suite has a sofa, electric kettle and LCD TV. 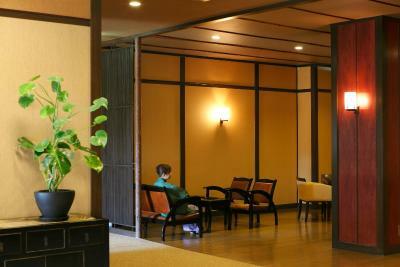 Western-style beds and a tatami (woven-straw) seating area are offered. 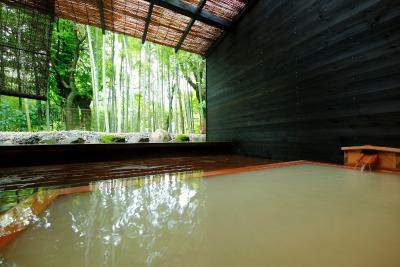 Extras include a private hot tub, toilet and yukata robes. This room is for 2 adults only, and children cannot be accommodated. House Rules Mount View Hakone takes special requests – add in the next step! Mount View Hakone accepts these cards and reserves the right to temporarily hold an amount prior to arrival. Luggage storage service is available prior to check-in hours and after check out. Guests bringing children are kindly requested to inform the age of the child at the time of booking. Please note that child rates apply for children between the ages of 3 to 6, and rates include futon, meals and other amenities. Children under 3 years old must use an individual bed. Beds consist of Japanese futon bedding. 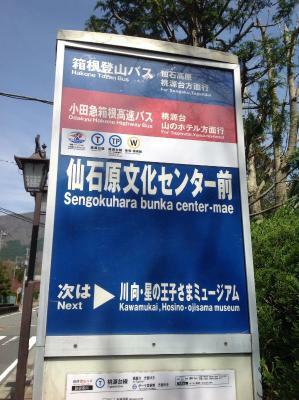 Please inform Mount View Hakone of your expected arrival time in advance. You can use the Special Requests box when booking, or contact the property directly using the contact details in your confirmation. Given one flat pillow. 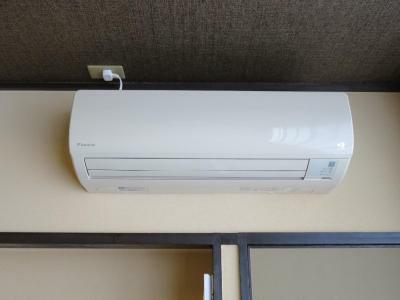 Tired room, no frills Onsen with just shampoos, conditioner & body wash, hair dryer. 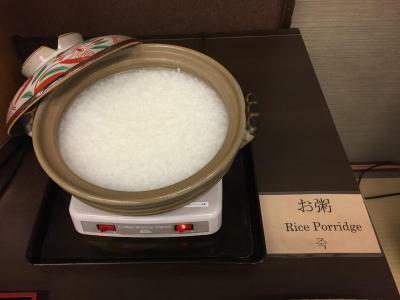 The hotel caters largely to tourists and staff speaks good English. They put effort in food presentation and explain each course. they found my reading glasses & arrange delivery to my hotel in Tokyo. Glasses arrived on time in bubble wrappers and new glasses case. We travelled to Odawara station and found navigating on the bus system to get to the hotel difficult. My mother-in-law is in a wheelchair but stairs to B1 is the only way to get down to Onsen (wish there's an elevator!) so she couldn't use it :(. 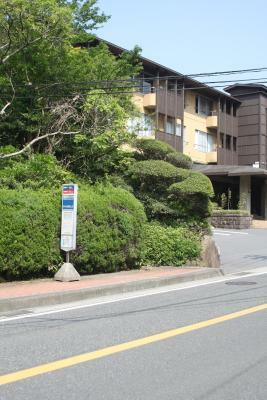 Very convenient if you travel by car (there's also bus stop right in front of the hotel) but it's a bit far from Hakone town. Dinner and Breakfast were excellent! The rooms was smaller than we actually expected but not to the extend of being not comfortable for our family of four. The booking of the onsen... we could not book in advance as we were told to book only after checking in. 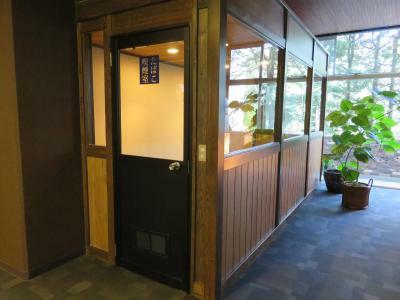 However the family onsen was fully booked when we checked in:-( For religious reason, public onsen is not possible. Somewhere to hang clothes and shower cubicles (to accommodate shy teenagers) would be great. The picture of the front of the hotel is quite deceiving and gives the impression it’s in a rural setting which it isn’t. 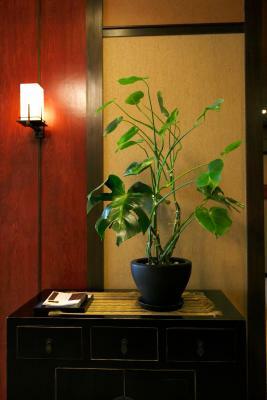 Loved the hotel which is set out in the traditional Japanese style. The Japanese breakfast was a real treat. 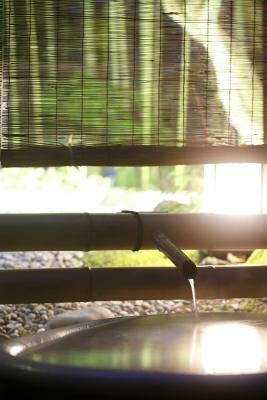 The private onsen were also great with a backlit bamboo garden as a backdrop. Not the easiest place to get to. Honestly the highlight of our trip. Amazing place. Amazing food. Amazing bath. 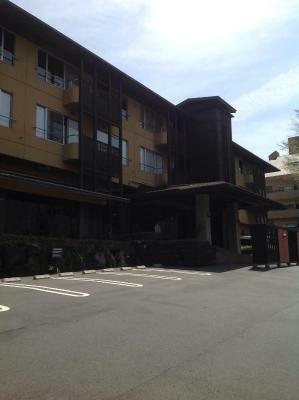 Lovely room spacious comfortable futon Excellent evening meal and breakfast well prepared staff attentive Delicious ! Amazing dinner and breakfast. 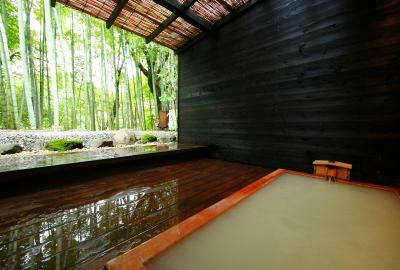 Loved the public/free onsen and even more the private onsen. The room was very big and comfy. In my opinion, meal (and breakfast) is too much. And I ended up throwing a lot of things. I'd have prefered to have an online reservation (maybe optional and by default to full?). No bathroom in the room. 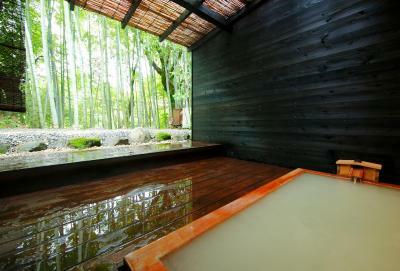 You have to go to the onsen and take a shower there. (that might be on me and it might be specified on booking, not sure). Beautiful food and hospitality. Easy to access sightseeing spots in the area. 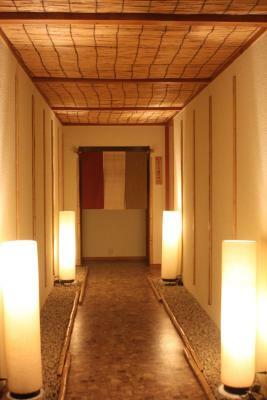 Amazing, perfect ryokan experience. Staff was incredibly friendly and helpful. 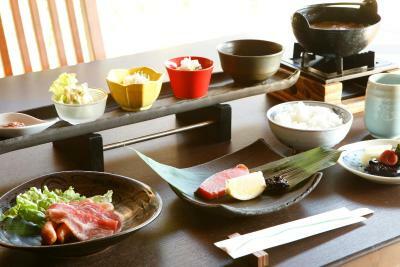 The meals are absolutely superb; you get your money's worth on the food alone. Room was comfortable, rustic style. 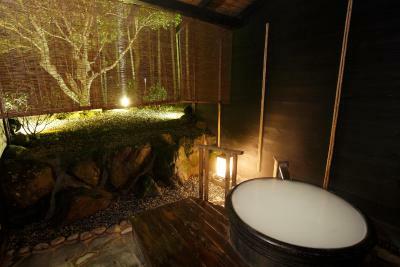 The outdoor hot spring onsen bath was phenomenal; I used it 3 times in just the one night I stayed there. Would absolutely stay here again, fantastic experience. 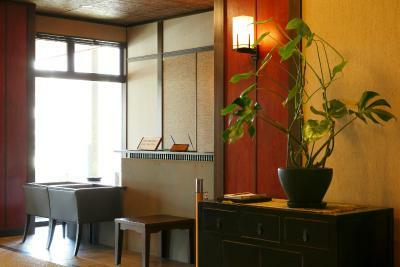 The atmosphere and zenitude of this ryokan type hotel. 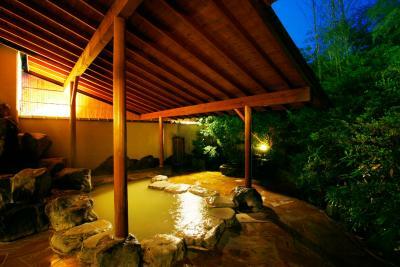 The private onsen at night was just great ! And the food was an amazing Japanese experience.